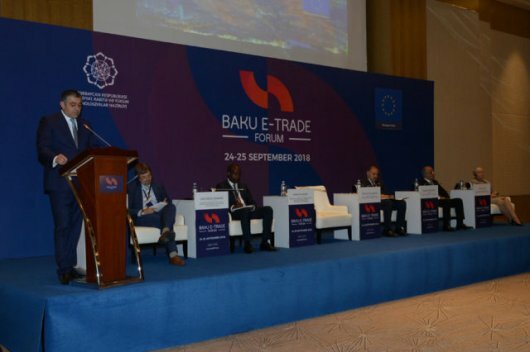 The E-Trade Forum was held in Baku on 24-25 September 2018 at the initiative of the Ministry of Transport, Communications and High Technologies with the support of the European Union and the United Nations Conference on Trade and Development. Tofig Babayev, director of R.I.T.A, Legal & Financial NCP HORIZON 2020 in Azerbaijan, expert of HDM in Azerbaijan was elected a member of the organizing committee of The E-Trade Forum. Over 300 local and foreign representatives were attended to the international event "Baku E-Trade Forum 2018". The Forum, was organized for the first time in Azerbaijan, was held with a view to assisting the development of e-trade in the country. The event were attended by small and medium-sized entrepreneurs, startups providing services in the areas of electronic trade, electronic payments and logistics, as well as representatives of government bodies and international agencies engaged in the development of various aspects of e-trade. Within the framework of the Forum, various sessions were organized on 7 key areas identified by the United Nations Conference on Trade and Development for the development of e-trade. 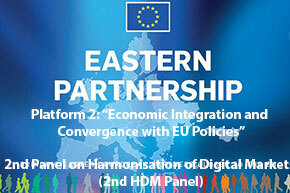 Representatives of the European Union, the World Bank, the World Trade Organization, the European Bank for Reconstruction and Development, the International Trade Centre, the International Telecommunication Union, the Universal Postal Union and other international organizations and well-known international experts in the field of e-trade were made presentations at the sessions.